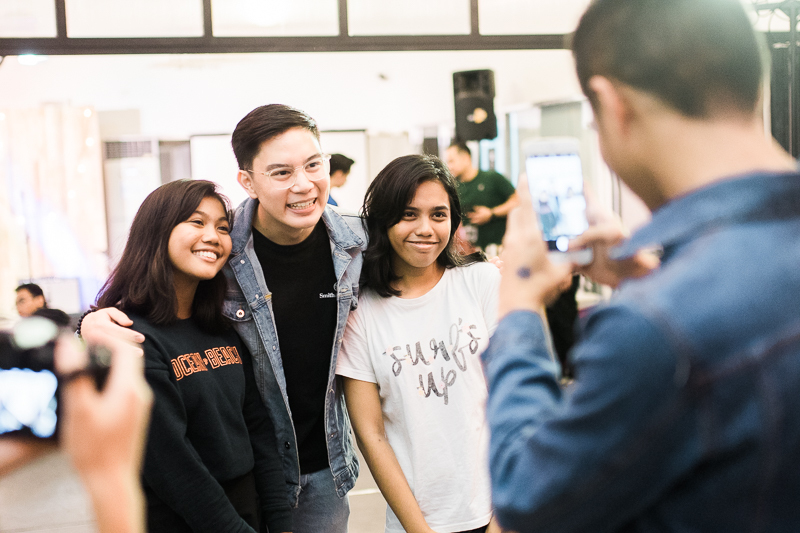 We had so much fun with all of you at #sharendipity 2017, so we are back with a new collaboration! 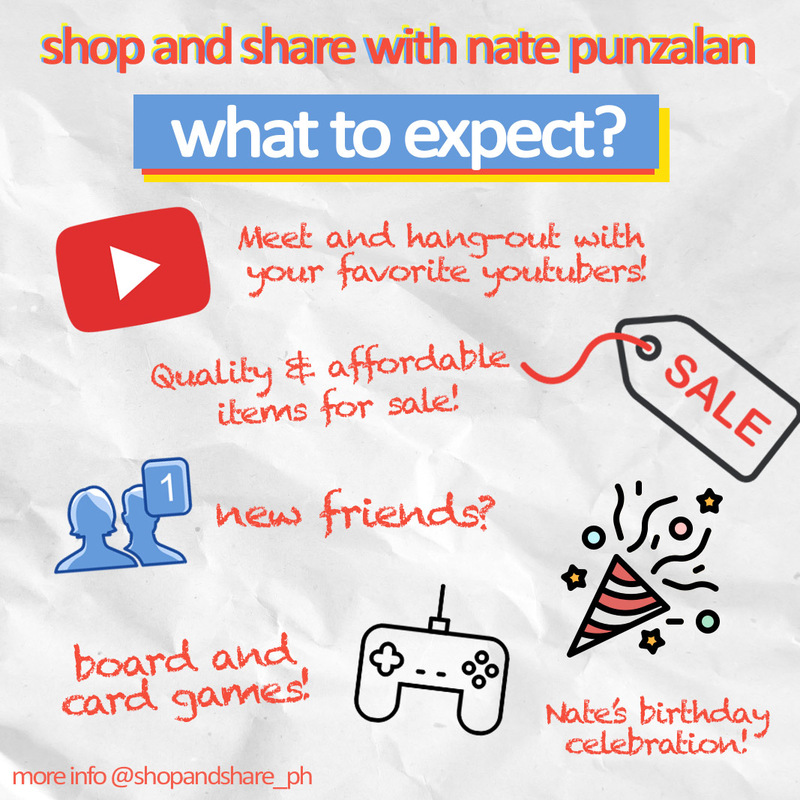 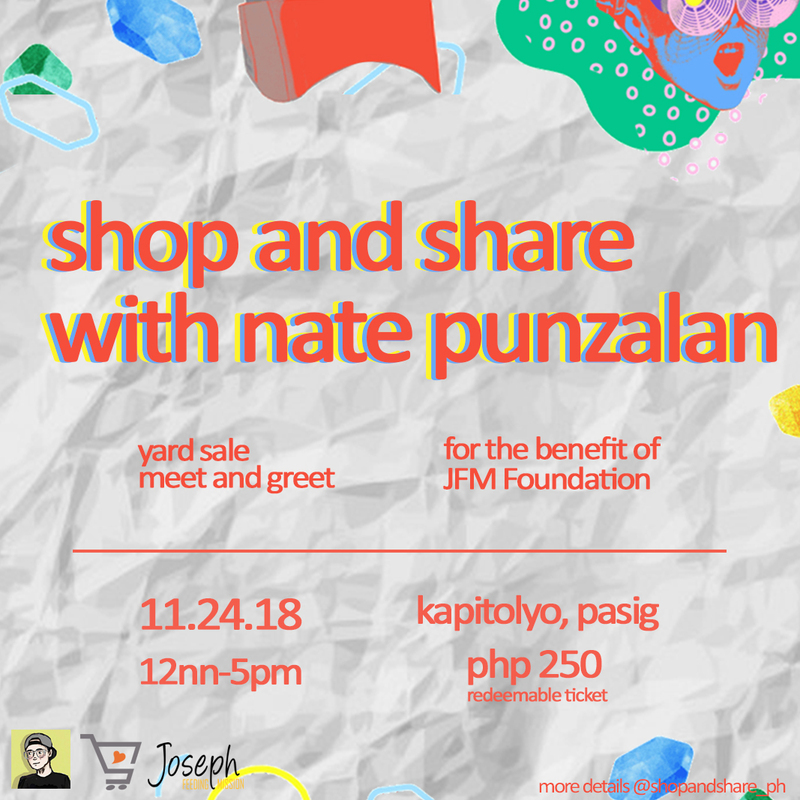 Youtuber and influencer, Nate Punzalan will join us for a special YARD SALE plus meet and greet! 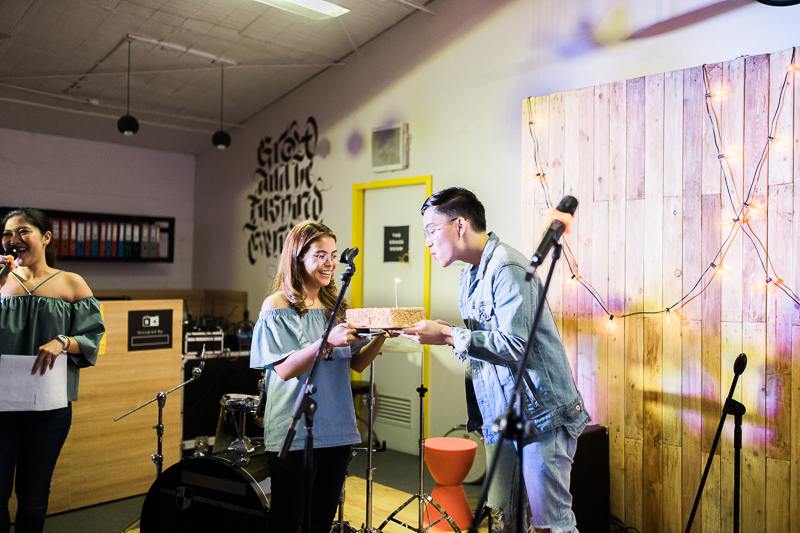 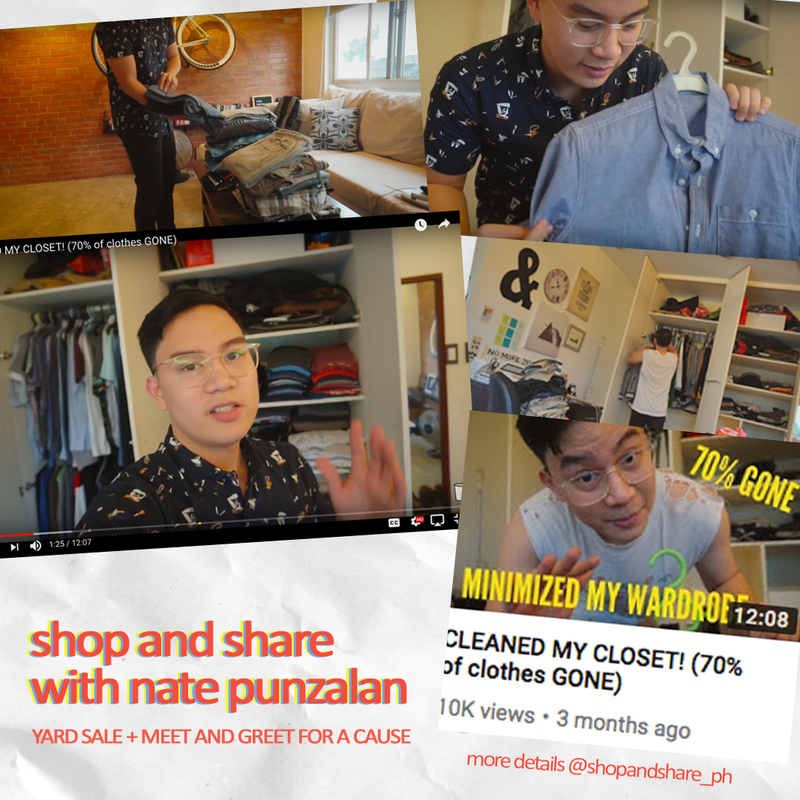 For the love of decluttering and sharing, we invite you to Shop and Share with Nate Punzalan! 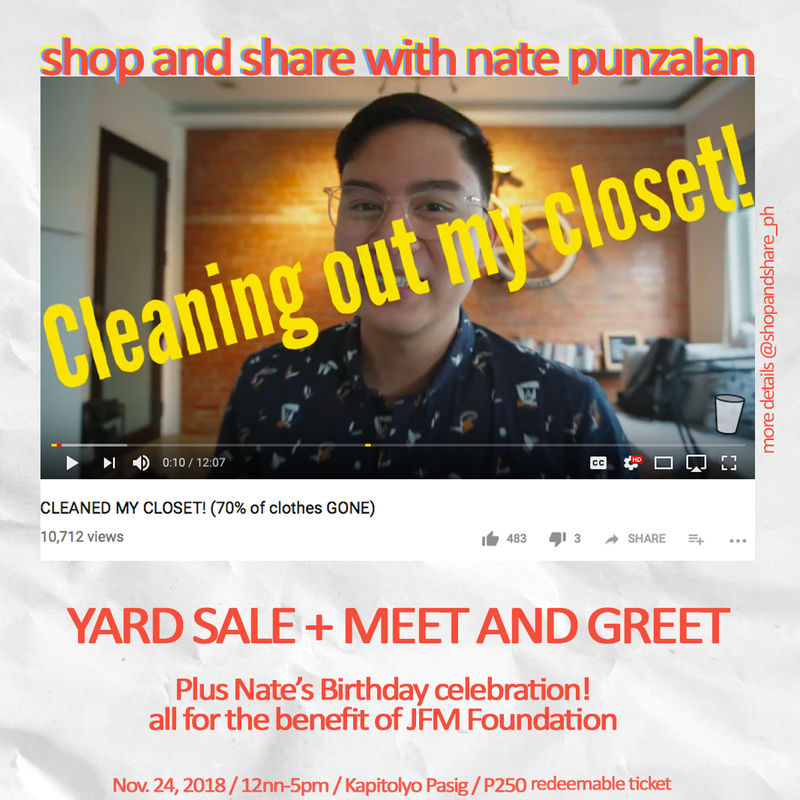 It’s a chance for you to discover great finds at our garage sale, plus meet and greet Nate and your favorite YouTubers and social media influencers. 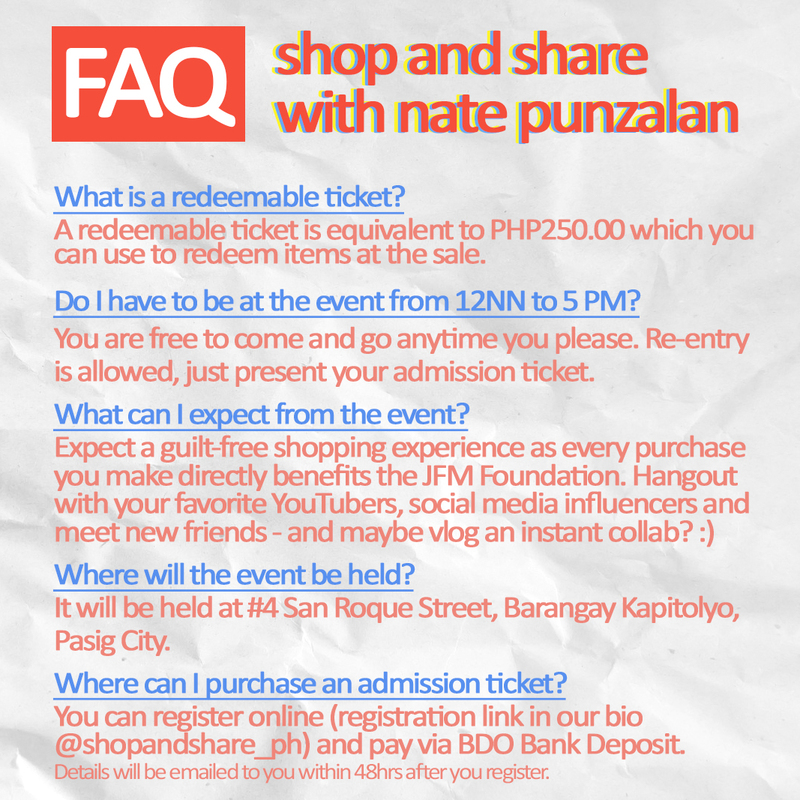 GET YOUR P250 REDEEMABLE TICKET NOW!